Hello dear Seattle InterNations community! Anthony Bourdain said: "You learn a lot about someone when you share a meal together". Do you think it equally applies to sharing a drink and fun? 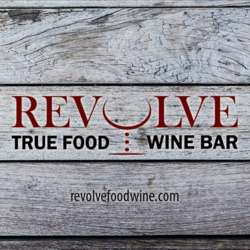 Let's get together and check this theory at one of the pearls of the Eastside - Revolve Food & Wine. This restaurant was rated #1 in the Best gluten-free restaurants in Seattle by Eater. Tucked away just north of Seattle is a completely gluten-free, grain-free, GMO-free, organic bistro with romantic lighting and exposed-brick walls, the brainchild of Dr. Dusty DuBois, whose mission is to spread the gluten-free big-flavor gospel. The menu boasts stereotypically gluten-rich items sans-gluten, like fried chicken sandwiches, almond-battered fish and chips, and bread pudding, as well as plenty of naturally gluten-free dishes like herb-crusted lamb with cauliflower rice pilaf or pork spare ribs. Looking forward to seeing you all and sharing a drink and fun!